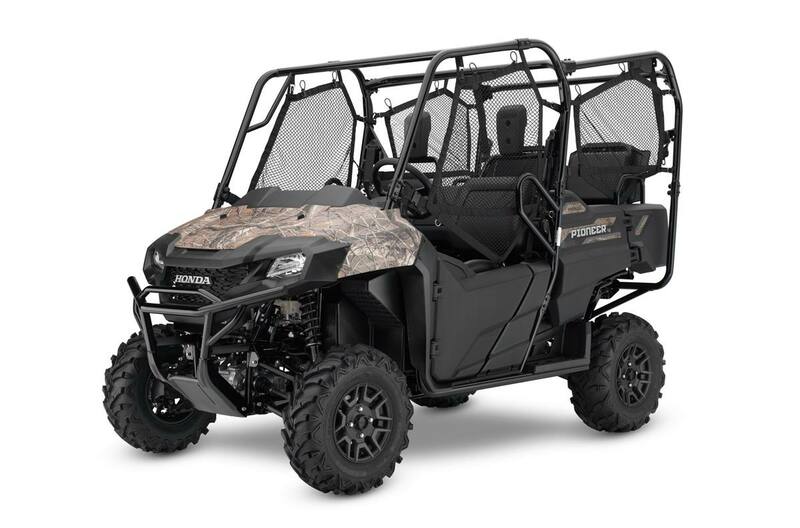 Power steering: The Pioneer 700-4 Deluxe's automotive-style electric power steering lessens steering effort and helps eliminate bump steer, especially over rocks, logs and on sidehills. Safe and secure technology: The sturdy Occupant Protection Structure, standard doors with an automotive-style double latching system, roll-up side nets, and three-point belts with an Emergency Locking Retractor mechanism (a speed limiter prevents travel faster than 24 km/h if it detects that a seat belt isn't being worn), all help keep you and your passengers safe and secure. 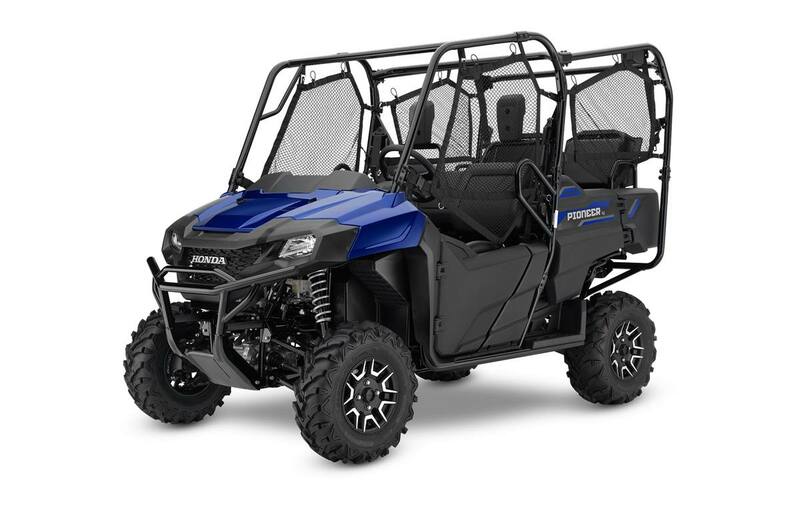 Excellent visibility: The Pioneer 700-4's 37.5-watt headlights have excellent balance and light-distribution, eliminating uneven light patterns and dark zones within their illumination area.